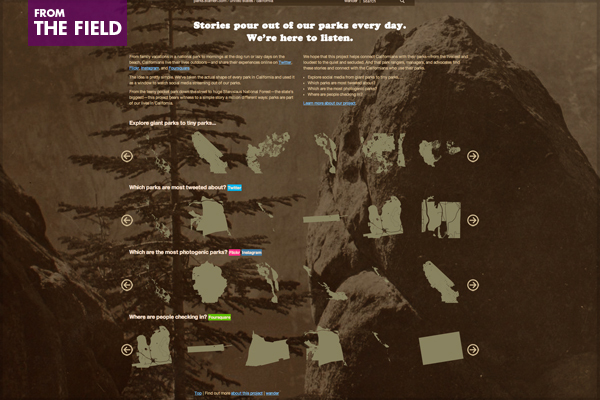 The parks.stamen.com application enables policymakers, managers, and advocates to see what people are doing and saying in the normal course of their interactions with parks and open spaces managed by dozens of agencies, from national parks to state parks, regional parks to neighborhood parks. And it allows park visitors to express themselves and be heard—without having to go to an official hearing. We are also introducing the idea of using the National Parks Service’s four-letter identifiers—much like airport codes—as hashtags so people can mark their content in a specific park. And we’re bringing those hashtags to thousands of other parks and open spaces. 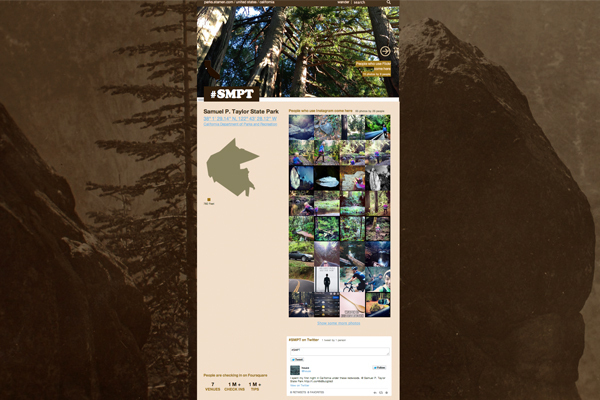 The parks.stamen.com application is in test phase right now as we roll it out and talk about it with park managers, rangers, educators, advocates, and users. 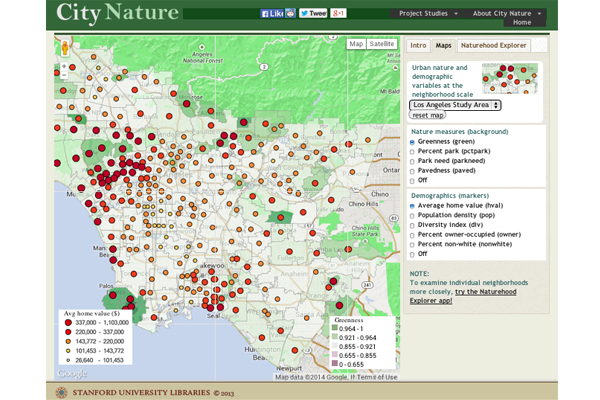 I’ll be presenting this work at the Frederick Law Olmsted Jr. symposium, along with City Nature—a research project at Stanford and UCLA that uses data visualization, mapping, and text mining techniques to explore the past, present, and future of parks and nature in cities. 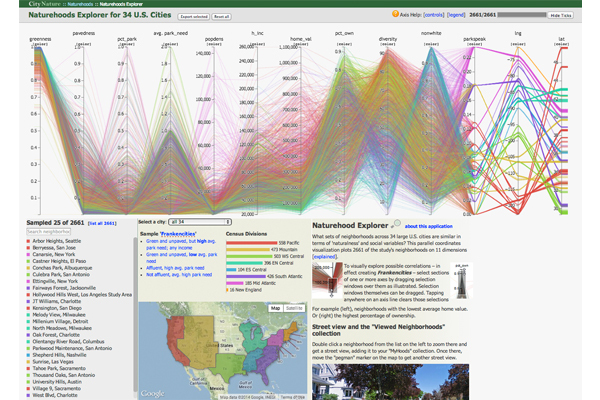 The City Nature project has set the stage for important research and scholarship in urban and environmental planning, conservation science, geography, urban and environmental history, and analysis of the linguistic and literary patterns in a variety of sources through which people and communities express and enact their views of nature from city centers to the most remote wilderness. Previous Article What’s Next for Sunbelt Cities?